T-shirt styles may vary depending on availability. Different brands run very different in sizing. 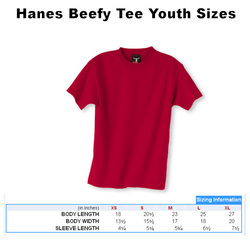 When ordering a t-shirt, please let me know the size you (or your child) normally wears. I will likely need to contact you to discuss sizing options. It is a good idea to add my e-mail address (Karoline.SewCuteBoutique@gmail.com) to your contact list or safe list to avoid having my message filtered to your spam/junk folder. The measurements below are taken with the shirt lying flat on a table. The measurements are taken before washing/drying. Please allow for shrinkage. 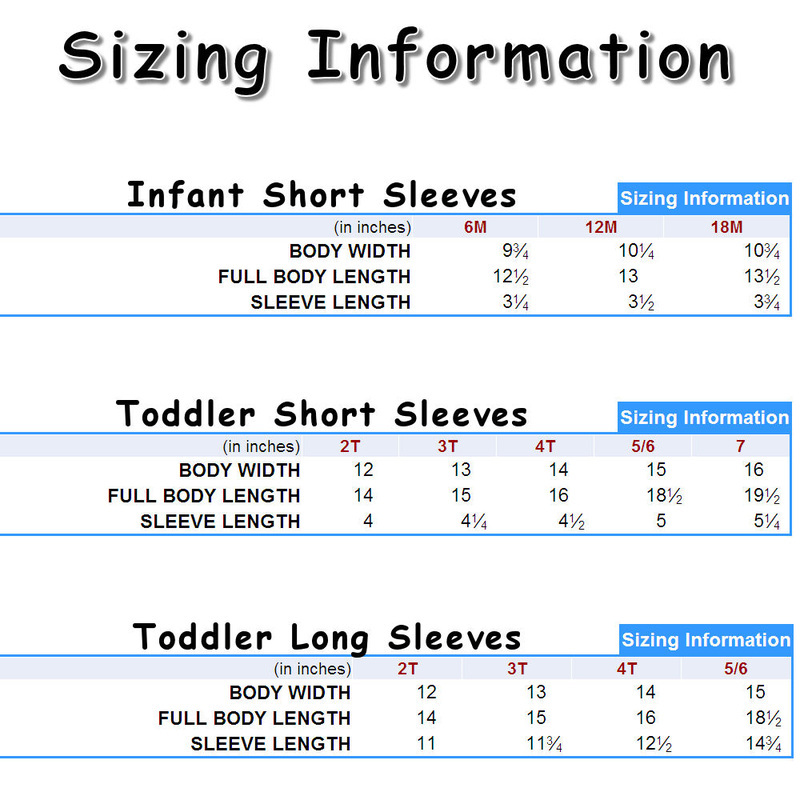 I recommend you take a well-fitting shirt and measure it in the same fashion and compare to the size chart. If you have additional sizing questions or concerns, please contact me. Custom shirts cannot be returned. These are the standard white shirts that I carry. Also available in long sleeves by upgrade. 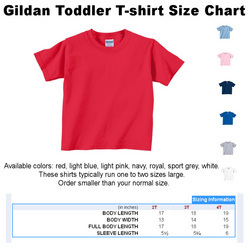 Gildan brand toddler shirts run LARGE. I recommend ordering one size smaller than usual. Click below to enlarge size chart. 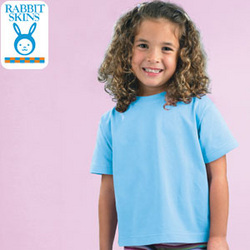 Rabbit Skins brand t-shirts run SMALL. I would recommend ordering at least one size larger than normal. Click below to enlarge size chart. Infant sizes run even smaller. For boys wearing size 12 month, I recommend ordering size 24 month/2T. 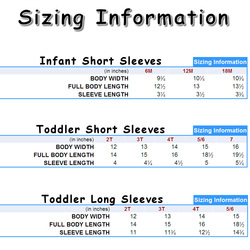 For boys wearing size 18 month, I recommend ordering 3T. If you like a little more fitted look, girls can get away with just ordering one size larger. 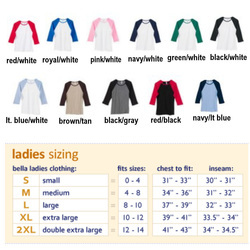 Bella ladies raglan baseball style tees run small and are sized for a snug fit. If you desire a less snug fit, I recommend ordering one size larger. Click below to enlarge size chart. Click below to enlarge size chart. 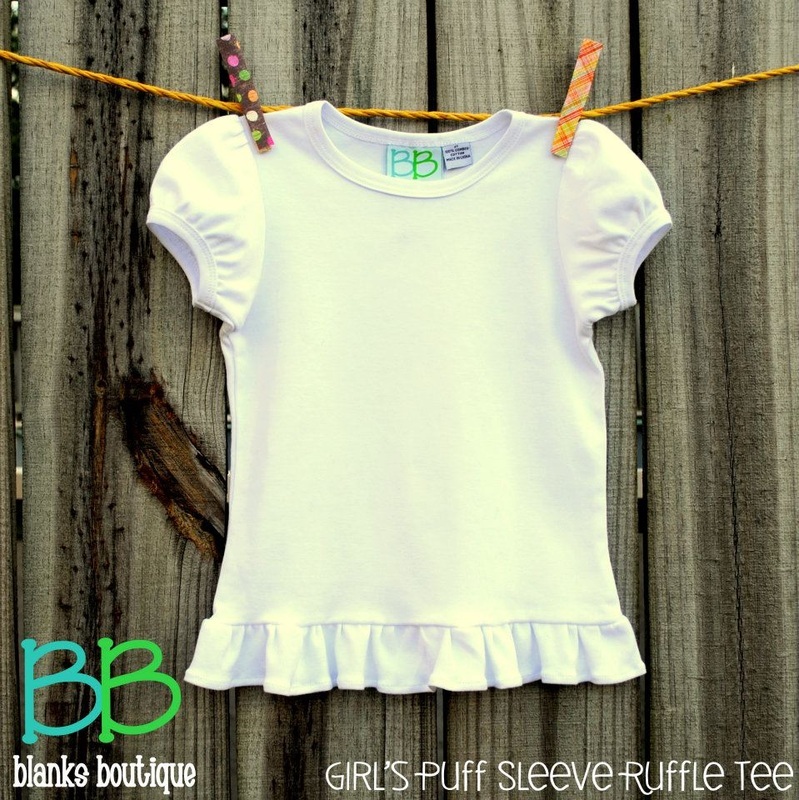 Bella girls shirts run SMALL and are sized for a snug fit. For a less snug fit, I recommend ordering one size larger than shown on size chart. Click below to enlarge size chart. 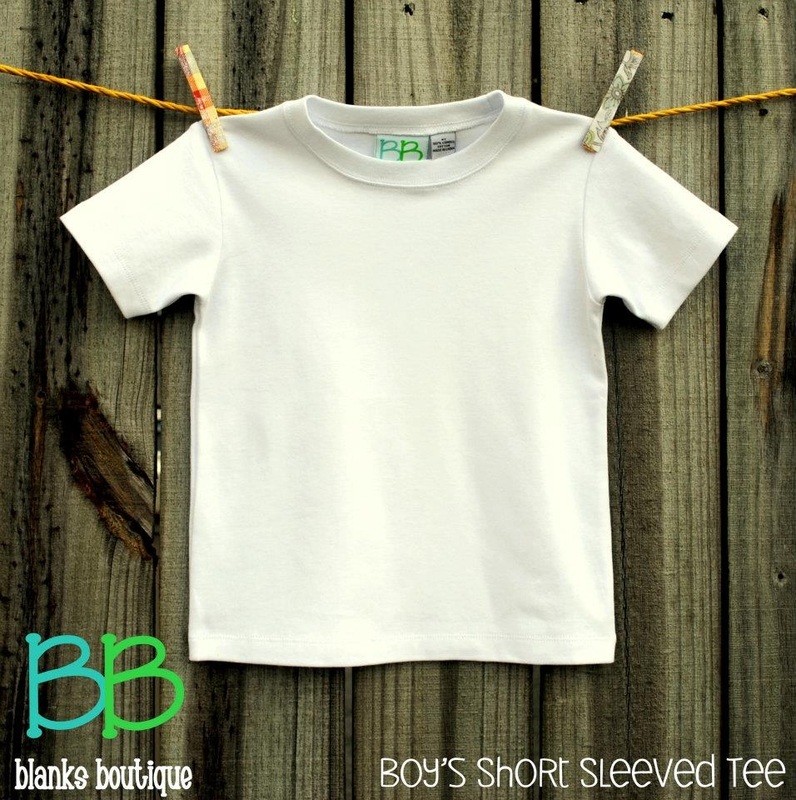 Bella infant short sleeve tees available in sizes 3-6 mo, 6-12 mo, 12-18 mo, 18-24 mo. 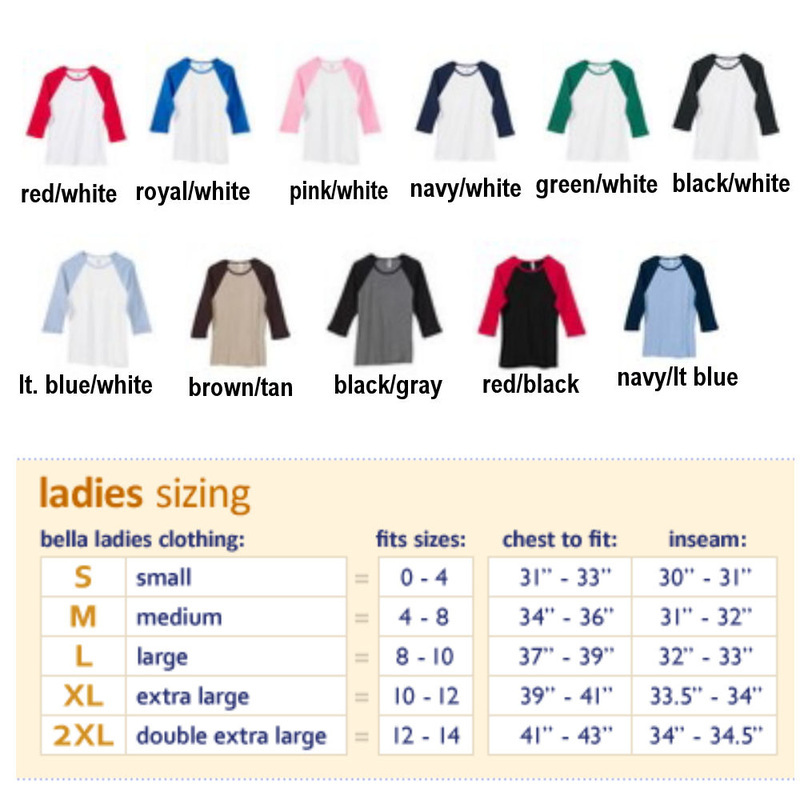 White, pink, red, brown, black, navy. Rabbit Skins Double Ruffle Shirts. 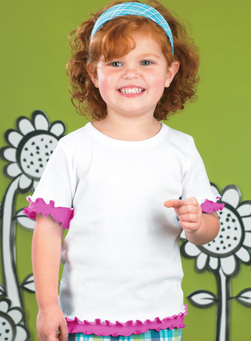 This white shirt is trimmed with hot pink ruffles at the sleeves ad hem. Please note: These run small!